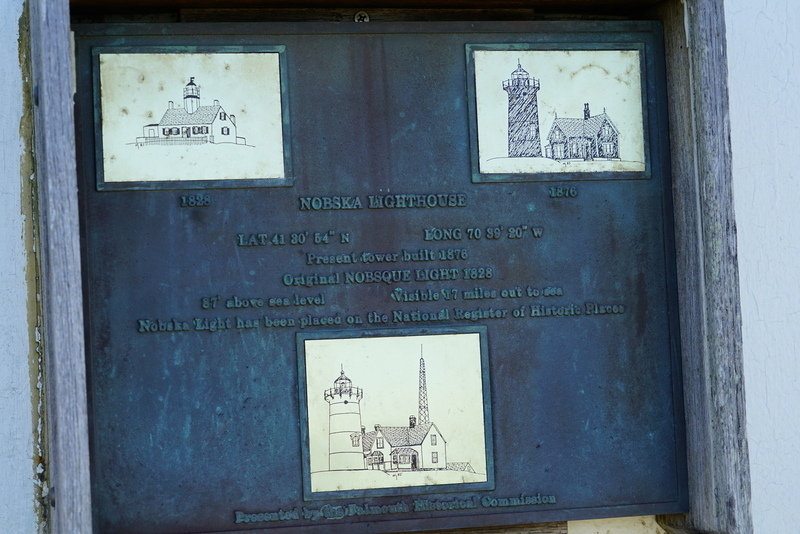 Nobska Lighthouse, Woods Hole, Massachusetts. 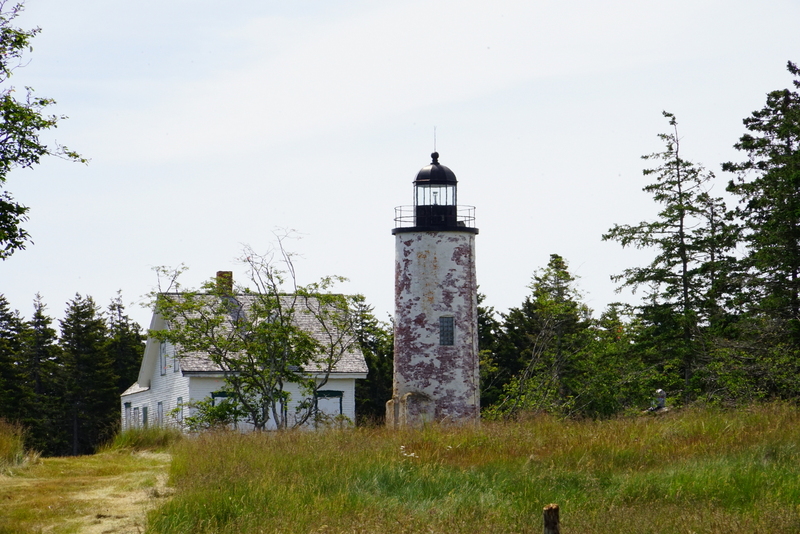 This classic lighthouse is not in Woods Hole per se — just on the outskirts, on a side road so to speak. 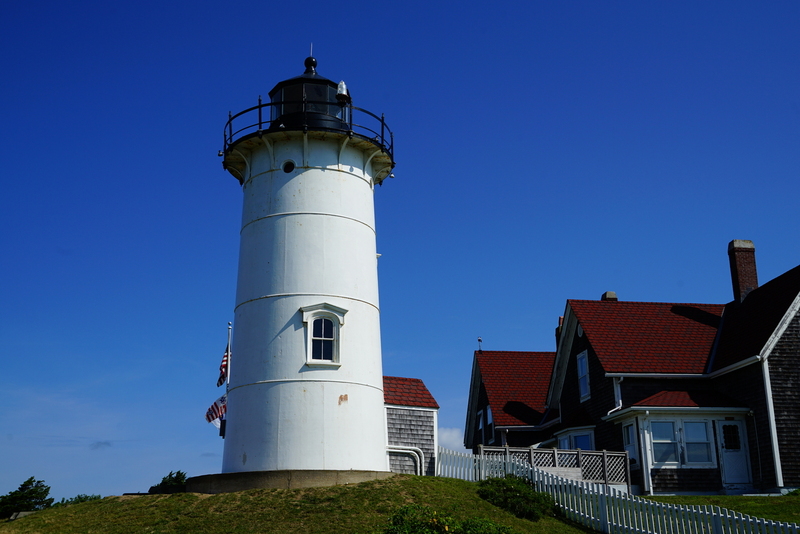 We did not see it on our first two trips to Woods Hole (albeit both trips on the same day). 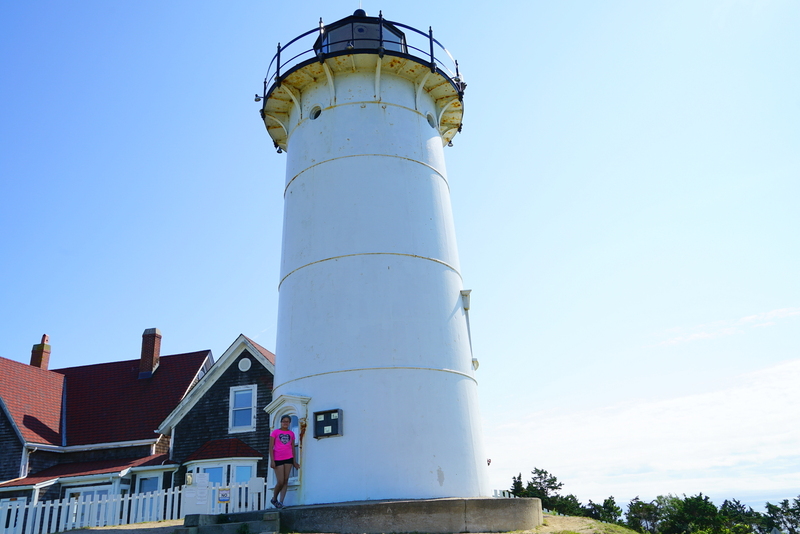 I, however, did not want to leave Falmouth, Mass., without seeing this lighthouse. 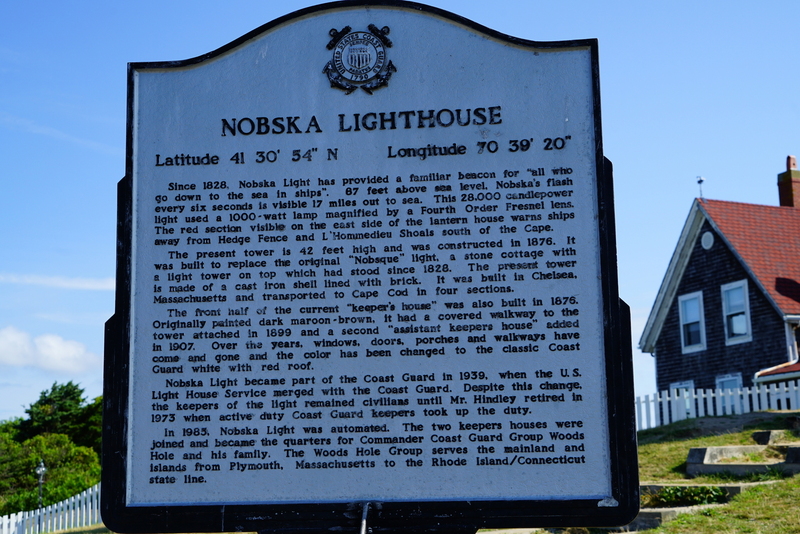 So on our 4th day, at the Cape, I made a special trip just to see the Nobska Lighthouse. It was worth it. 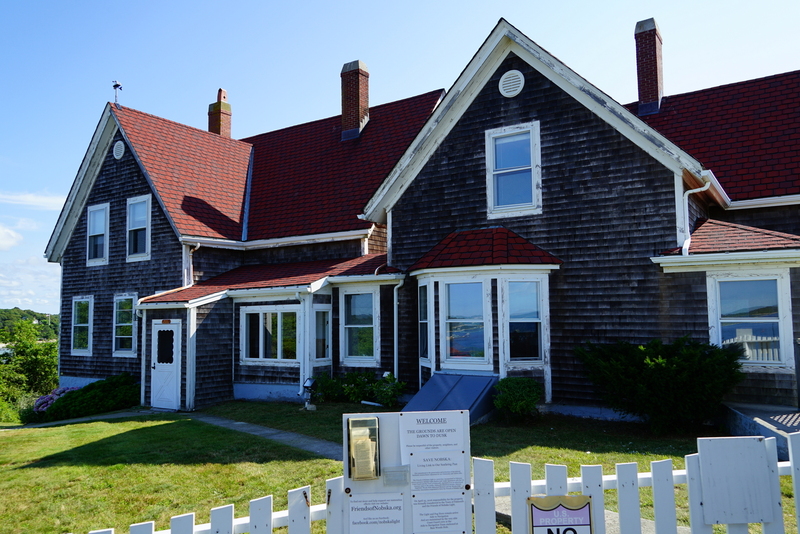 There is parking for 5-6 cars right in front of the lighthouse and we were but the 3rd car there. Compared to the crush in Woods Hole, this place was empty. Nice little path to a rocky but scenic beach. 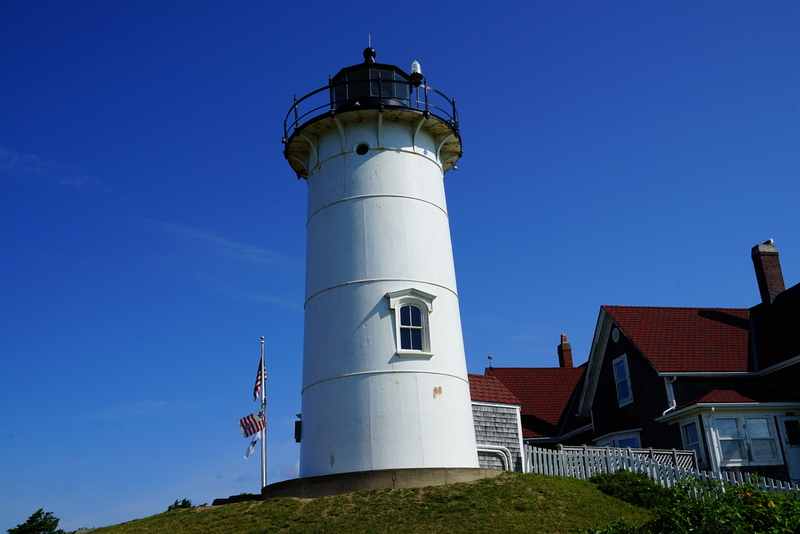 This lighthouse was very different to the ‘Monhegan Lighthouse’ on Monhegan Island that I had spent much time at just two weeks earlier. This did NOT have the elevation and as such the views. But it is definitely on a much busier stretch of water with large ferries going by all the time. 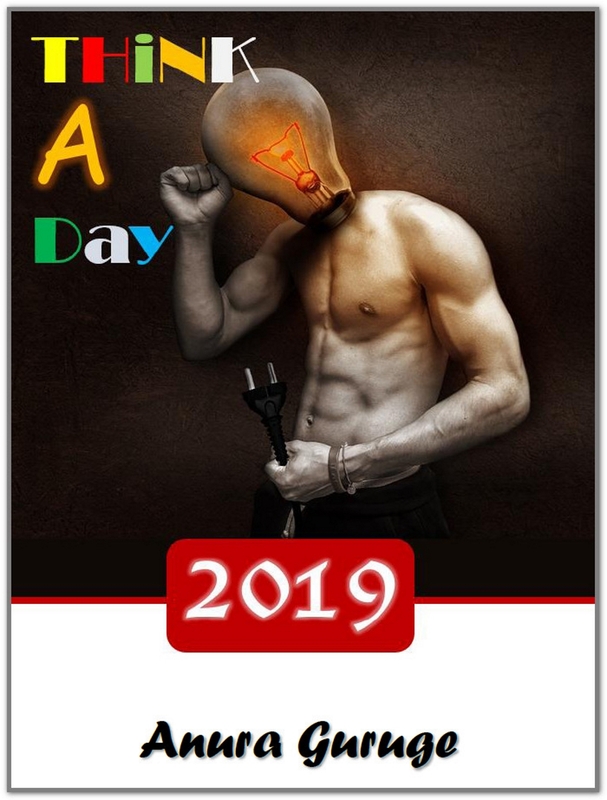 Oh yes, definitely worth stopping by IF you are in the area.